At the 2017 MHI Annual Conference keynote and top-ranked economist Jason Schenker, will share his short-term and long-term economic forecasts for the material handling and supply chain industry. Jason Schenker is the most accurate financial futurist in the world. Since 2011, Bloomberg News has ranked Jason the #1 forecaster in the world in 23 different forecast categories for his forecasts of industrial metals prices, energy prices, agricultural commodity prices, currencies, and economic indicators. For over a decade, Jason has been a keynote speaker, guest on CNBC, and frequent guest host for Bloomberg Television. He is also a columnist for Bloomberg Prophets, and he writes articles for MHI Solutions. 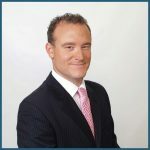 After working as an economist at Wachovia and a risk specialist at McKinsey, Jason founded Prestige Economics in 2009, as a financial market research firm that provides a retainer service to private companies, public corporations, industry groups, institutional investors, central banks, governments, and NGOs. Prestige Economics also prepares the monthly MHI Business Activity Index, quarterly MHEM forecasts, and forecasts for several MHI industry groups.